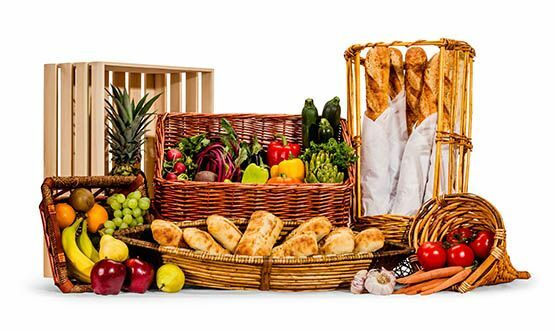 Almac sells a wide range of wholesale display baskets for bakery, display baskets for shops and utility baskets in every shape, material and size at unbeatable prices. Be sure to see our comprehensive range of wholesale wicker handle baskets, wicker trays and bowls and bulk plastic wicker baskets. Find baskets for all of your needs your today! Round Tray 11" x ½"
Brown Bread Basket with liner 17.5" x 5" x 4"